Oliver Harrington was born in Valhalla on 14th February, 1912. After being educated at Yale School of Fine Arts and the National Academy of Design, he contributed cartoons to newspapers in Harlem. One of his main concerns was "to establish a more realistic and less stereotypical depiction of African-American life but also to vent his anger about the continuing racial discrimination in the U.S."
In the 1932 Presidential Election he used his art to support the campaign of Franklin D. Roosevelt. During the next few years he was a passionate supporter of Roosevelt's New Deal program. In 1935 Harrington was recruited by the Amsterdam News. It was while working for this paper that he created Bootsie, a heavy-set, bald man from Harlem. It was the first black comic strip to receive national recognition. Harrington later wrote about the birth of Bootsie: "I simply recorded the almost unbelievable but hilarious chaos around me and came up with a character. I was more surprised than anyone when Brother Bootsie became a Harlem celebrity." 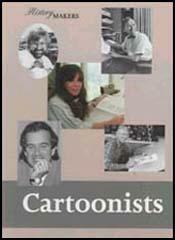 Harrington became the first African American to establish an international reputation in cartooning. During the Second World War the Pittsburgh Courier sent Harrington as a war correspondent to Europe. His main concern was to document the experience of African-American soldiers. A common theme of these cartoons was the irony of fighting for rights in Europe that they did not have in their own country. In 1950 Harrington's political opinions brought him to the attention of the FBI and Joseph McCarthy. He decided to leave the country and went to live in Paris, where he associated with other black exiles such as James Baldwin, Richard Wright and Chester Himes. Harrington was one of those who believed Wright was murdered by the CIA in 1960. Harrington moved to East Berlin in 1961 but continued to send cartoons to papers in the United States. 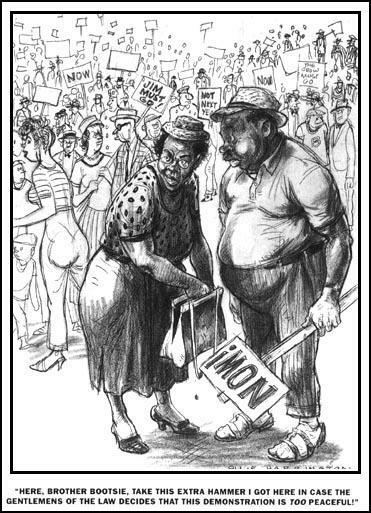 As one critic commented: "sulphurous political cartoons attacking institutionalized racism, mindless imperialism, self-serving politicians, poverty, homelessness and bloated capitalists, all drawn in a gritty, ragged-line coarse-hatched style perfectly suited to the raw and painful bitterness of his ironic assault." Harrington also wrote articles for American periodicals. Edited by Thomas Inge, a collection of these, Why I Left America: And Other Essays, was published in 1993. 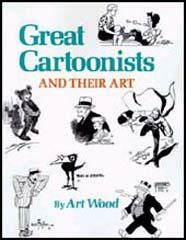 The same year saw the appearance of a selection of his best cartoons, Dark Laughter. Oliver Harrington died in East Berlin on 2nd November, 1995.